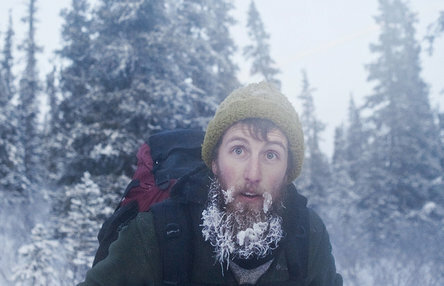 These photos come via Peter van Agtmael and a recent NYT article about silence in Denali National Park. Davyd Betchkal, a Wisconsinite and physical science technician, spends his days marching through the backwoods of Denali, plugging together recording equipment, and documenting the park's sonic profile. His goal is to produce pristine field recordings - audio entirely absent of human presence. In the decade since the project began, Betchkal and his colleagues have so far captured 36 days of uninterrupted sound. “Openness! Quiet is related to openness in the sense that the quieter it gets, your ability to hear reflections from farther away increases and you get an immense sense of openness, of the landscape reflecting back to you. You can go out there, and stand on a mountaintop, and it’s so quiet that you get this sense of space that’s unbelievable." He continues: "Why, when you’re in your car, do you feel like you are your car? It’s because the car envelops you, it wraps you up in that sound of itself. Sound has everything to do with place. What I’m really measuring is the potential — the potential to hear natural sounds. If you’re choosing to listen, what are you actually going to hear?"